It’s been a bit quiet on the blog front for the last couple of months because I’ve focussed my attention on a “little” side project which recently reached fruition. 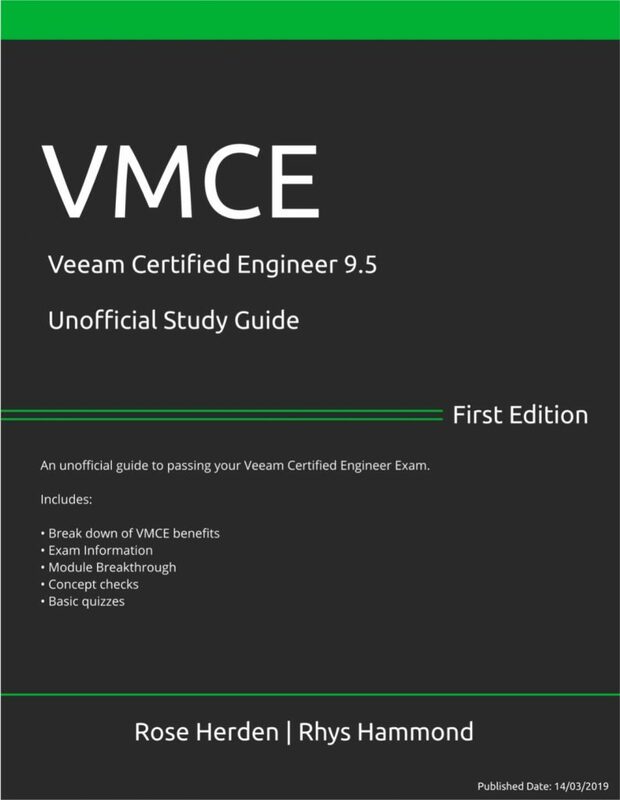 This side project was, of course, the VMCE 9.5 Unofficial Study Guide that we released on the 15th of March. Rose Herden and I started working on the book back in November 2018, the initial framework of the book actually came from a presentation that Rasmus Haslund and I submitted for a VeeamON 2017 session. We had hoped to present but unfortunately, our submission not selected. 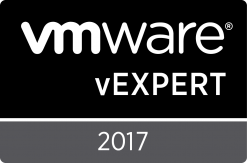 From the ashes of that presentation, with contributions from Florian Raack plus several peer reviews from fellow Vanguards, VMCT trainers and Veeam employees, a study guide for the VMCE was born. Working closely with Rose on this book has been a fantastic experience, her knowledge and passion around the VMCE is second to none. What Rose has done around developing and assembling this book has been absolutely phenomenal. 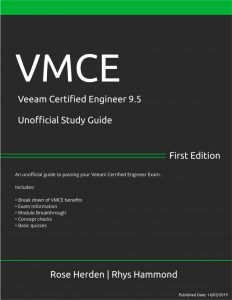 Originally, the book was going to cover the basics around studying for the VMCE along with listing resources available such as the unofficial practice exams, write-ups, etc. Once Rose saw the early draft though she suggested we expanded the book by adding module guides, these would include key learning goals/outcomes, key terms, learning suggestions, concept checks and even a practice exam for every module from the VMCE courseware. 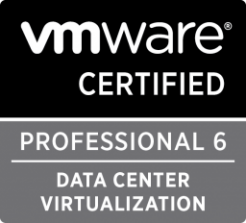 These module guides quickly became the focus of the book filled with insight, tips and tricks from an experienced VMCT scattered throughout the chapter. To date, our book has been downloaded over 800 times through our publisher, leanpub.com. We were even fortunate enough to be a featured book on leanpub during the first week of release. At the current rate, there is even chance of reaching over 1000 readers in the coming weeks. It’s a bit of an understatement when I say how this has completely blown us away to see how many readers have downloaded the book, we were aiming for 100-200 readers. More importantly, the feedback received so far from the community has been overwhelmingly positive which is a huge relief. While the book is available for free, we’ve left the suggested price at $4.99 USD, readers just need to select the $0.00 price during checkout to download for free. Rose and I are very thankful to the readers who have paid for the book with any money raised going towards printing hard copies. We’ve initially planned for just 10 copies to be printed with any money left over to be donated to a charity called TECH GIRLS MOVEMENT. 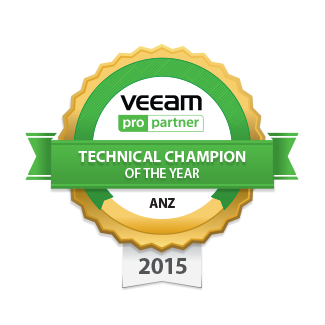 This entry was posted in Veeam and tagged Certificate, Education, Exam, Study, Study Guide, Test, Veeam, Veeam Vanguard, VMCE on 27/03/2019 by admin.